Sinn Féin will discuss swapping Dáil time with other parties to allow it to table a no-confidence motion in the Minister for Health Simon Harris this week. Sinn Féin does not have its own slot to put down the motion in Simon Harris until 20 February. But there are potentially two options in play that could bring forward the motion. One is the Solidarity-PBP's speaking time on Wednesday but this is unlikely to happen as the focus of that Dáil motion is the nurses' strike. However, the Independents4Change group also have speaking time on Thursday. One TD who is part of the same Dáil Technical Group as Independents4Change indicated that any approach from Sinn Féin would be listened to. Tommy Broughan said there was a "possibility" the group would swap time with Sinn Féin. The motion follows controversy over cost overruns in the construction of the new national children's hospital. 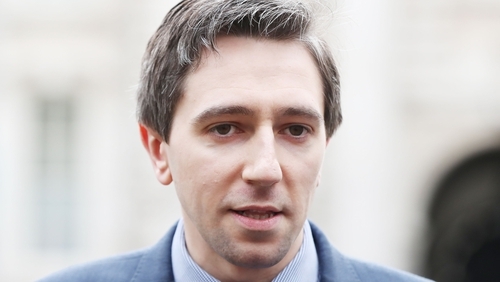 On Sunday, it was confirmed that the minister is to apologise to the Dáil over an answer he gave to a parliamentary question in September, in which he failed to indicate that costs at the new hospital were escalating. But the apology is not enough for Sinn Féin, who said it was no substitute for political accountability. The party said Minister Harris had misled the Dáil, misled his Government, misled Fianna Fáil and, most seriously, had misled the public. Fianna Fáil has said that supporting a no-confidence motion in Mr Harris could lead to a general election at a time when the country was preparing for Brexit. Fianna Fáil leader Micheál Martin last week called on Mr Harris to apologise and correct the record of the Dáil in relation to the information he provided. Speaking on RTÉ's Morning Ireland, SInn Féin leader Mary Lou McDonald said her party had deliberated very carefully over whether to table the motion. In response to the Fianna Fáil charge that the motion was political posturing, Ms McDonald said Fianna Fáil had also been misled by the Minister for Health. She said the core issue was the competence of the minister, adding that the costs overruns were not "abstract figures". She accused Fianna Fáil of posturing and said they were more interested in placating Fine Gael and tolerating bad behaviour than standing up for the taxpayer. Ms McDonald said there was an absolute absence of accountability. "The general public want and deserve clear answers, full information and full accountability and that means that Simon Harris has to go," she said. Meanwhile, Tánaiste and Minister for Foreign Affairs Simon Coveney has said that the vote of no-confidence by Sinn Féin had no chance of passing. Speaking to RTÉ News, he said that it was nothing more than a political "stunt". It comes after it emerged that the final cost of the hospital project could exceed €2 billion. The controversy over the rising costs of the project lead to the chairman of the hospital's development board to step down. A review into the project overruns is now being conducted by PwC.